While markets don’t always behave rationally, their performance usually mirrors the expectations of the Modern Portfolio Theory. This makes strategic asset allocation one of the most effective investment strategies for value investors. Underpinning the Modern Portfolio Theory is the belief that markets are essentially efficient, which means asset prices fully reflect all available information. In this environment, excessive risk taking for optimal returns is not only unnecessary, but contrary to a value investor’s long-term goals. Let us dive a little deeper into understanding the implications of strategic asset allocation. Modern Portfolio Theory drives strategic asset allocation, which instructs investors to focus on asset diversification as opposed to riskier market-beating strategies. As a traditional approach to portfolio building, strategic asset allocation compels market participants to determine how much of their money should be allocated to broad investment categories, such as stocks, bonds, mutual funds or currencies. Once an investor decides on their optimal allocation, they usually stick with it for the long haul or until new information compels them to take a different direction. 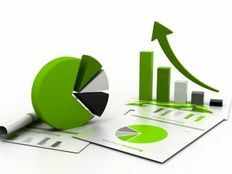 Although there is no hard rule for determining your optimal asset allocation, this strategy usually begins by assessing your risk tolerance and investing timeframe. How much can you stand to lose in the marketplace? 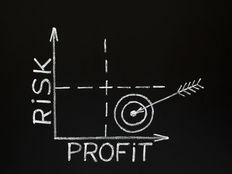 Are you willing to take higher risks for higher rewards or do you prefer stable returns at minimal risks? These are just some of the initial questions you need to answer before starting the allocation process. Answering these questions as truthfully as possible will help you or your portfolio manager determine how aggressively to invest in certain assets. Investors with a higher risk appetite and shorter investing window will usually allocate a greater share of their capital toward stocks and, within that category, high-growth sectors such as information technology and fast-growing regions such as emerging markets. On the other hand, risk-off investors with a longer timeframe may allocate a greater share of their portfolio to bonds or large-cap stocks in the S&P 500 or Dow Jones Industrial Average. A typical strategic asset allocation breakdown is 70% stocks/20% bonds/10% cash. A similar breakdown, called 60/40, allocates 60% to stocks and 40% to bonds. Once your allocation is determined, the portfolio is rebalanced periodically to ensure that the original structure is maintained. Strategic allocation can certainly change over time, but instances of change are infrequent. That’s because your portfolio is designed to perform during a particular market cycle, which can often last six-to-eight years or more. Changes that affect your investment goals or risk tolerance can certainly warrant revisiting your asset allocation strategy. Click here to learn more about different asset types and custom asset allocation strategies to suit your specific needs. Strategic asset allocation is a foundational investment strategy for long-term value investors. While it may not be the most exciting, it offers numerous advantages. Strategic asset allocation compels investors to diversify their portfolio rather than place all their eggs in one basket. As we know, diversification minimizes the risk of loss if one asset class underperforms over a certain period. The mix of investments selected using this strategy do not change with the markets, which means you’re not constantly worried about changing your portfolio through peaks and troughs. What’s more, strategic allocation rebalances portfolios to target weights at a pre-specified period so there are no surprises. This type of investing strategy is ideal for investors who want to sleep at night and not worry about chasing the market. They can also go to bed at night knowing that their investment decisions aren’t being dictated by herd mentality or speculation. Given its underlying goals and objectives, it’s only natural to highlight some of the inherent disadvantages of strategic asset allocation. Since your portfolio is structured to obtain a specific return based on your risk sentiment and investment timeframe, it does not factor anomalies in the market. This means your portfolio can underperform the broader market, especially during bullish periods. It also means your portfolio is unlikely to gain exposure to new fast-growing industries (i.e. blockchain) or regions (i.e. 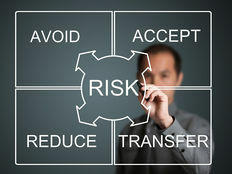 India) that do not fall within your pre-defined risk tolerance. If long-term growth and stability are part of your investment goals, then strategic asset allocation is a potentially powerful method to deliver those results. The key trade-off is foregoing potentially market-beating returns in the short-run for long-term prosperity.